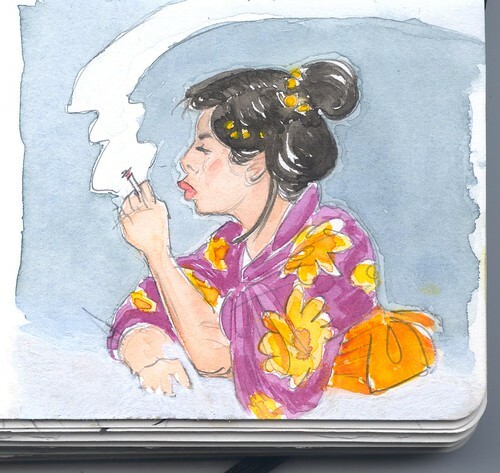 Here’s the smoking girl from Sketchcrawl 15, but with added watercolor. This is one really nice aspect to the modified Moleskine and having a sketchbook with watercolor paper. Any drawing is a potential future painting. Smokin’ is right! She’s great. 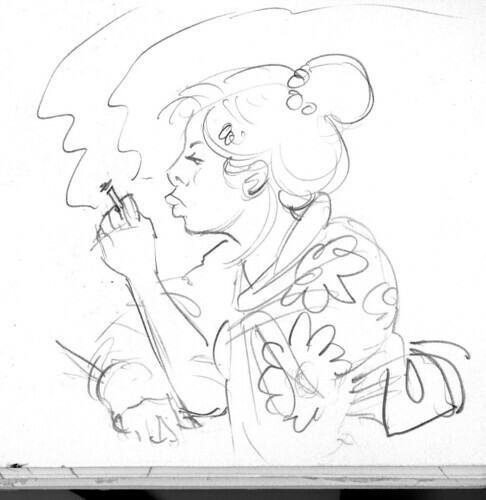 I like how her posture, activity and expression are the antithesis of everything we associate with ladies in kimonos. Ha! Thanks, Cheryl. Definitely. She’s of Japanese decent and in Japanese garb, and she’s an American teenager through and through.